Prime Minister Jüri Ratas (Centre) on Sunday met with members of the Estonian community of New York to hear their opinions on the preservation of Estonian culture and the future of Estonia, celebrating the country's centennial as well as Estonia's increasing role and responsibilities in the world. 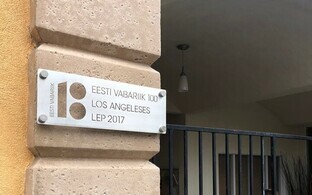 In New York, the New York Estonian School has been the heart that holds the Estonian community together, having operated at the New York Estonian House (NYEM) for decades and being one of the oldest supplementary schools in the world, spokespeople for the government said. "I know that the New York Estonian School has struggled with a lack of teachers, teaching materials and space," Ratas said in remarks delivered at the NYEM. "I admire your efforts to keep in touch with Estonia and carry on the Estonian culture." Estonia currently supports Estonians living abroad via a compatriots' scholarship programme that offers support for maintaining fluency in Estonian, preserving the Estonian culture and identity, and the opportunity to return to Estonia. "Upholding the Estonian language and culture over generations is important in Estonia as well as abroad," Ratas said. "You should always remember that Estonia awaits you. You are always welcome home — whether for a short visit to the Song and Dance Festival or a permanent move back." The prime minister emphasised that the US has always supported preserving and developing various cultures and languages. "As we know, there can never be too many friends. We continue to value friendly relations with countries on whom we can depen, and who can also depend on us," Ratas said. "The US is an important partner for Estonia. 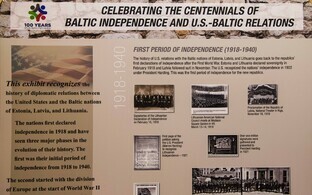 We very much appreciate their contributions to preserving security in the Baltic states and all of NATO." He added that Estonia also wishes to support allies and good friends in turn in ensuring and maintaining peace in the world. Ratas is scheduled to return to Estonia on Tuesday.